The payoff to Senk’s formula is evidenced by Urban Outfitters’ rapid expansion. Over the last 10 years, the company’s operating income has grown by 36% annually as the firm built a large stable of successful brands — the core Urban Outfitters line aimed at women 18 to 30 years old; Anthropologie, a clothing and accessories retailer focused on women ages 28 to 45; Free People, a fashion-forward line of clothing and retail stores focused on women in their 20s; the Scandinavian-inspired modern apparel and footwear brand Liefsdoittir, previously sold at upscale department stores but now exclusively at Anthropologie stores, and new efforts in the garden and bridal arenas. Although Urban Outfitters posted a 17% rise in net sales in 2010, the company has also been grappling with consumers’ reluctance to trade in the skinny jeans and tunic tops that have been popular in recent years for the wide-legged pants and slimmer tops that now dominate the runway. Last week, Urban Outfitters posted net earnings of $39 million for the quarter ending April 30, down from $53 million last year. In addition, net sales were down 6% at Anthropologie and the Urban Outfitters brand posted only a 1% gain, although Free People racked up a 30% increase. In March, the company reported a 3% decline in fourth quarter earnings for fiscal 2010, missing analysts’ predictions for the first time in nearly two years. As a result, shares of the company fell 17%. 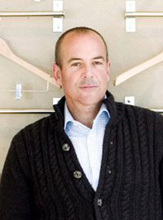 Stephen Murray, global president of the namesake Urban Outfitters line, announced in April that he was leaving after a year. Senk is taking over his duties in the interim and told analysts last week that he plans to become more involved with choosing fashions and merchandise as the company attempts to turn the tide. Senk’s career at Urban Outfitters was almost a nonstarter. In the early 1990s, he left a position as senior vice president and general merchandise manager at kitchenware and home goods retailer Williams-Sonoma and decided to start his own business. While raising money for that venture, he met Urban Outfitters founder Richard Hayne. When Hayne tried to entice Senk to join his company, Senk initially took a pass. Instead, Hayne agreed to help bankroll Senk’s as yet undefined new venture. “I was terrible at raising money,” Senk noted with a laugh. But Hayne ultimately became a mentor to Senk, and when Senk decided to return the money he had raised to investors, he took Hayne up on his job offer. He started out running one store, the Anthropologie prototype outlet. Early on, Senk set his sights on landing a job at Bloomingdale’s. He described calling the company 46 times asking for an interview before he finally got one. After graduating from business school in December 1980, he started with Bloomingdale’s in January of 1981, staying with the company for nine years. He decided to leave when he realized the tremendous challenges facing the department store industry. Senk is also excited about how technology will revolutionize, not only e-commerce, but also the operation of bricks-and-mortar stores. Currently, the company is piloting a new mobile point of sale system in 21 stores which allows customers to make purchases in places other than the cash register. Senk envisions a future where stores get rid of cash registers entirely and use mobile devices to make shopping a more personal experience for consumers.